Background/Purpose: B cell depletion therapy based on rituximab is a therapeutic option for refractory disease in patients with Systemic Lupus Erythematosus (SLE). Hypogammaglobulinemia can be an important adverse outcome of B-cell depletion therapy with rituximab (a chimeric anti-CD20 monoclonal antibody). However, the probability of, and factors associated with, the incidence of persistent hypogammaglobulinemia after rituximab in the routine clinical setting, has not been explored. The aim of this observational study was to explore long-term effects on B cell function by following serum immunoglobulin levels in patients with SLE treated with rituximab in routine clinical practice. Methods: In this cross-sectional observational study, we included 57 consecutive patients with SLE treated with rituximab and concomitant/sequential immunosuppressants and measured serum total IgG, IgM, and IgA and IgG anti-dsDNA antibodies over a median of 48 months most recent follow-up. Flow cytometry was used prospectively to assess B-cell phenotypes in 17/57 patients. Results: Lupus Nephritis was diagnosed in 29/57 (51%) patients with similar percentages in each group (7/12 (58%) in the low IgM group and 22/45 (49%) in the normal IgM group). All patients had received previous treatment with at least 2 different immunosuppressants not including corticosteroids, which were continued at a low dose (<10mg/day prednisolone). We noted a hierarchy in percentage reduction, IgM > IgG > IgA (-18.4%; -2.8% ; 10.3%). Twelve patients (22%) had persistent IgM hypogammaglobulinemia (<0.4 g/L) and 3/55 (5%) had low IgG (<7g/L) at most recent follow-up (range 12-144 months). This was not associated with serious adverse events or high anti-dsDNA antibodies (≥1000IU/ml; normal<50IU/ml). Factors predictive of low serum IgM included: baseline serum IgM ≤0.8g/L (receiver-operated-curve analysis) and subsequent therapy with mycophenolate mofetil (MMF) (odds ratio=6.8 compared with other immunosuppressants). In patients maintaining normal IgM levels (9/17 included), the frequency of circulating IgD+CD27+ B cells was significantly higher (p=0.05). 7/30 SLE patients with baseline anti-dsDNA≤1000 IU/ml lost seropositivity 12 months after rituximab. Therefore, lower baseline serum IgM levels and sequential therapy with MMF are predictive of IgM hypogammaglobulinemia after rituximab in SLE, but this was not associated with higher levels of anti-ds DNA antibodies or an increased risk of infections. This provides useful directions for clinicians regarding rituximab and sequential immunosuppressive treatment for patients with SLE. Disclosure: V. Reddy, None; L. Martínez-Estupiñán, None; D. A. Isenberg, None; M. J. Leandro, None; G. Cambridge, None. Reddy V, Martínez-Estupiñán L, Isenberg DA, Leandro MJ, Cambridge G. Pragmatic Treatment of Patients with Systemic Lupus Erythematosus with Rituximab: Long-Term Effects on Serum Immunoglobulins [abstract]. Arthritis Rheumatol. 2016; 68 (suppl 10). 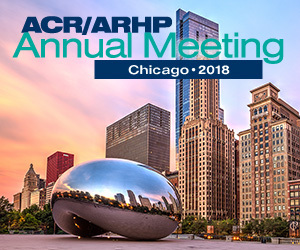 https://acrabstracts.org/abstract/pragmatic-treatment-of-patients-with-systemic-lupus-erythematosus-with-rituximab-long-term-effects-on-serum-immunoglobulins/. Accessed April 21, 2019.